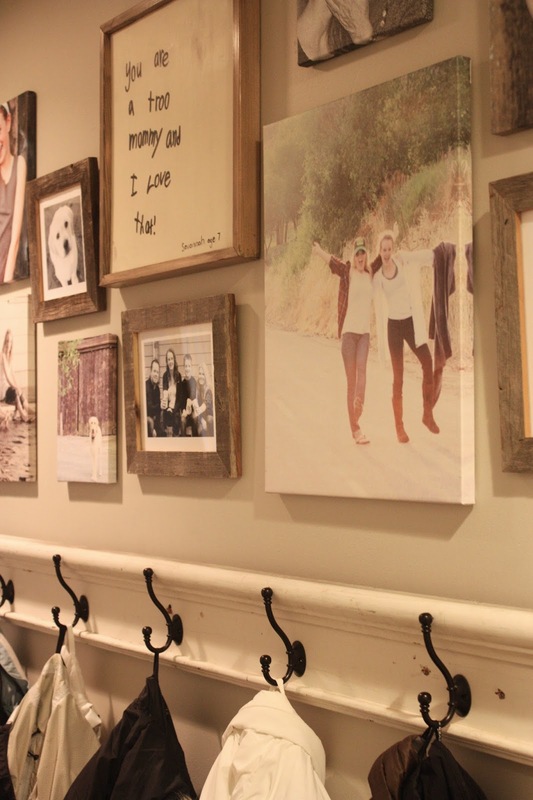 Thank you for all your sweet words on our hallway makeover yesterday. I hung up some random art, mostly canvas I had made from here. and I was really happy with the quality. You can find the DIY for the kids art sign here. 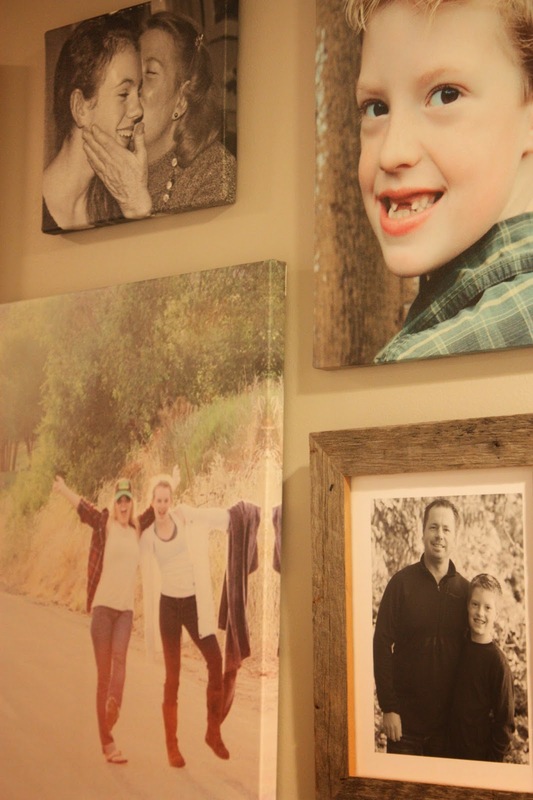 The barn wood framed photos are from Minted, you can find them here. 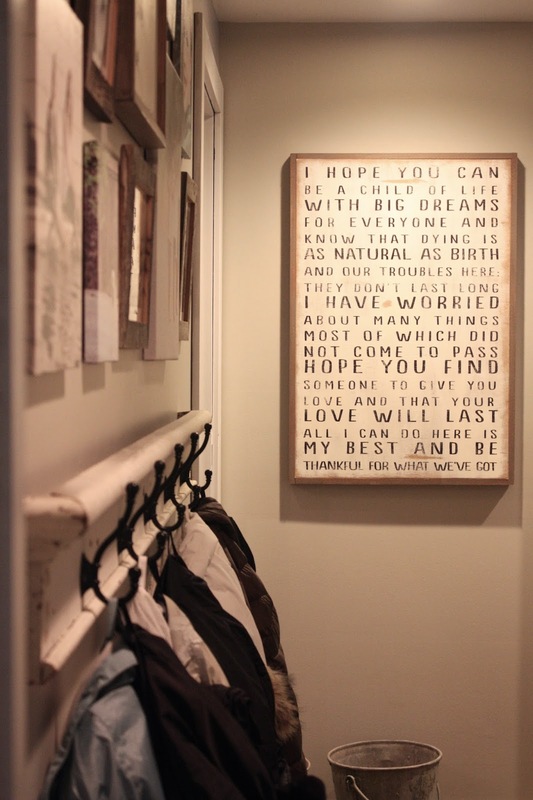 This is the end of the hallway, sign from Between You and Me on etsy. Beautiful! I love the mix of antique looking prints with the black and whites. 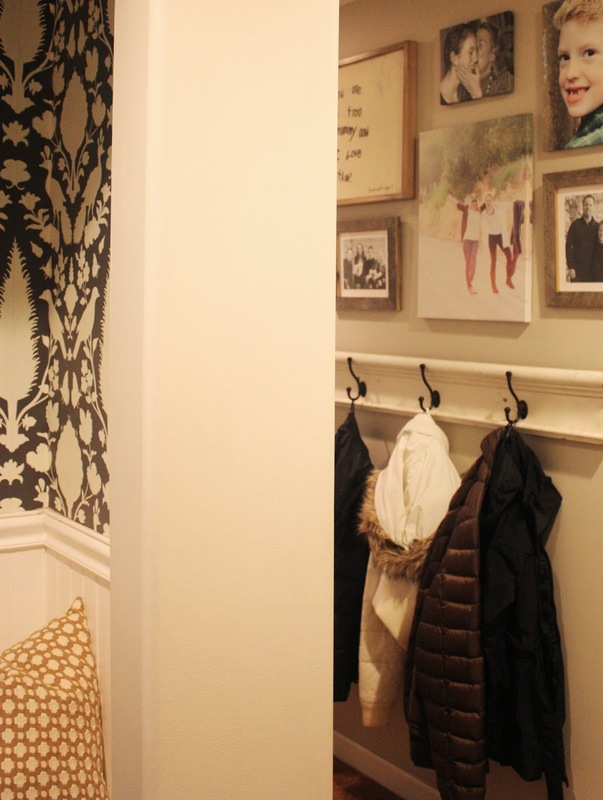 Works so well beside that hallway nook. 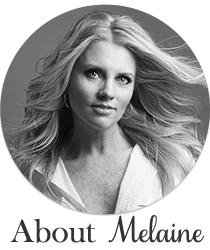 love your artistic collection of art, the hand written one is soulful, one to really notice and a tresure. 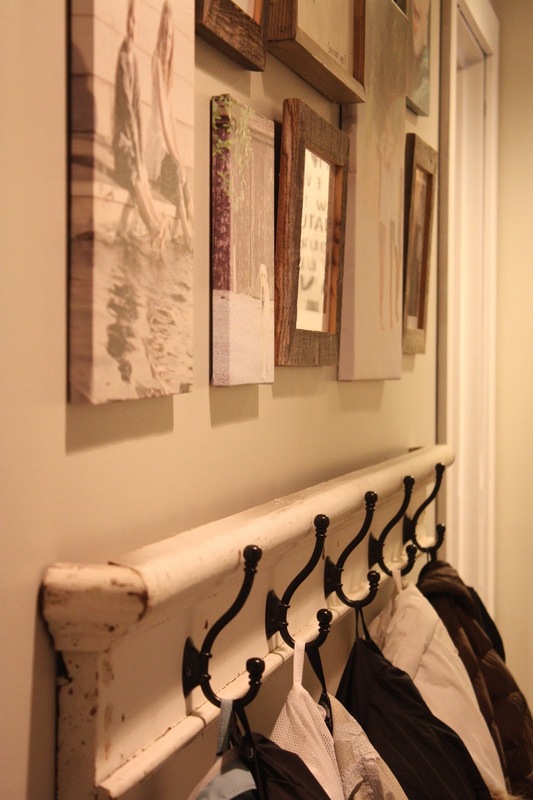 the coat rack is a great mix with the new adding some old to the space. beautiful family, a home well lived in, that inspires you daily I am sure. Love it girlfriend! Have a great weekend! Where is the molding with hooks from? *TERIMA KASIH SANGAT MEMBANTU BLOGWALKING AGAN.